As the founder and the lead developer of the Yii framework, I feel this book is a must-read for every Yii programmer. While this book does not describe directly the rules set by Yii, it shows how to program with Yii from a practical perspective. People who are driven by tight project schedules will find this book very handy as it gives ready-to-use solutions to many problems they may face in their projects; people who are already familiar with Yii will also find this book very informative as most problem solutions given in the book can be considered as officially recommended because they have undergone thorough review of every Yii developer team member. 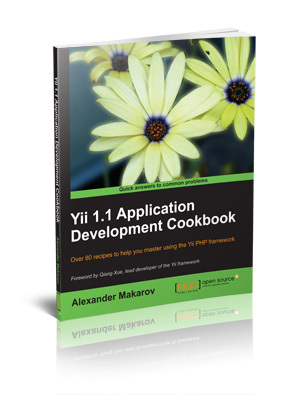 Alex, through this book and his active participation in the Yii project, proved himself to be a great programmer as well as a good writer. Have good time to you.